Purity is not the same as innocence. You were born innocent. You did not know evil: you had no malice within and could not conceive of the idea of someone being malicious to you, let alone knew that people are able to mask their malice so well. When evil has touched you, harmed you and you have learned the tactics of evil, you are not innocent anymore. You know evil now. You lived with it. You loved it. You slept with it. You have become tainted, not by your own actions, but by the psychopath. While you cannot retrieve your innocence, you can find purity. You have realized that you were involved with a highly malignant disordered individual: a narcissist, a psychopath or a borderliner. You learned about these disorders. You may even be well on the way to healing from it. But you feel ashamed about some instances that happened, too ashamed to tell it to someone, because, “Who would put up with that?” You probably feel shame for having been involved with them. Or you feel ashamed every time you notice someone toxic trying to talk to you. You might be thinking that you attract these people like flies and wonder what is wrong with you. Or you may simply wonder ‘How will I be able to feel clean, pure, myself again?’ So, let us tackle that mountain pile of slime. Let us see how we can recover what is pure and avoid getting tainted again. Because the steps and ideas behind the Pearl of Purity are so comprehensive it is impossible to cover it all in one article. This article is only the first in a Pearl of Purity series about helping you to purge yourself from slime and help you to become a repellent to it. Extensive contact with a psychopath leads to multi-faceted destruction: financial, physical, emotional, mental that takes minimally a year, but usually more, to recover from. But even short contact of but an hour has at least one hallmark impact on normal empathic people: you end up feeling slimed! Slime feels like shame. Slime is not yours, but another one’s that you picked up and think to be your own fault. Basically, slime means that you feel responsible and ashamed for something the psychopath did, either through association or because they blame you. If you were intimately involved with a psychopath, you’ll feel like drowning in a pile of slime, self-blame and shame. Slime comes from those we meet personally, as well as social and religious doctrine. Slime prevents us from seeing reality, from making the right decisions and to heal. It perverts and wounds our soul, our being, our health. A typical slime incident that is very recognizable for women is when, for example, they wear a summer dress on a hot summer evening that shows some cleavage. You go out with friends to cool off at a terrace. When it is your turn to order the drinks inside, the bartender explicitly gapes and talks at your breasts. You end up feeling embarrassed and regret wearing that dress. Well, this is a deliberate act by that bartender, because he knows very well that you will notice where his eyes rest all the time. Most men indeed see the cleavage, but will talk to you as if you are wearing a turtle neck. They would feel embarrassed if they were caught gaping at your breasts. And they have no wish to embarrass you either. In other words, the bartender behaves in a shameless manner and intends to push all the shame your way. If you were to remark on it to the bartender, he might even go as far as say to you that he’s entitled to gape if you wear such a summer dress. Other examples would be: The new partner of your best friend makes sexually tinted compliments to you or acts in another improper manner. It may be a colleague who says to others (including your boss) that he or she cannot find certain items on their desk after they were on sick leave, while they know you had to perform some tasks at their desk. It might be pupils who wrote a derogatory remark about you on a class desk. Perhaps your partner comments on your clothing, make-up, body, or hygiene. You take a date to an important business dinner who makes inappropriate, crass jokes to the rest of the company. You end up feeling embarrassed and regret inviting him along. All these are attempts at making you question yourself. What you forget to see is that these people acted in a way they should not at all. Their insolent behaviour is not in proportion to whatever you might have mistakenly done, if you even made a mistake at all. They are sliming you and other people. Pearls are a natural, but peculiar phenomenon: they are created and grown by a living being, inside that living being, a mollusk. 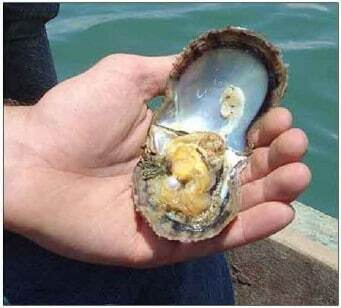 When a mollusk is attacked by a threatening parasite inside its soft tissue or a predator from the outside on the mantle, it creates a pearl sack around the parasite or alien object to seal it off. This pearl sack is pure calcite and does not look like a pearl much yet. But in time the mantle of the mollusk deposits layers of a mixture of aragonite (and calcite) with organic horn-like conchiolin. Together they combine into mother-of-pearl (nacre), which appears iridescent because the building blocks are close to the wavelength of visible light and interfere with it, revealing the beauty of light, playing with it. It is a strong material and resilient – tough, almost as strong as silicon. Over time the pearl sack grows and becomes a pearl: rare, precious, highly valuable, beautiful, natural, and resilient. The pearl is a metaphor to all of these perceptions and has always been a symbol of purity, typically worn by brides since the first civilizations. But purity is not necessarily virginal. In the Christian New Testament, Jesus refers to the Kingdom of Heaven as a ‘pearl of great price’. The twelve gates of the New Jerusalem are called the ‘Pearly Gates'. And of course our expression of ‘pearls before swines’ comes from scripture as well . There is the Hymn of The Pearl, a passage in the apocryphal and gnostic Acts of Thomas. It tells the tale of a boy, ‘The Son of the King of Kings’, who has to retrieve a pearl from a serpent in Egypt. But when he arrives in Egypt he forgets his origin and his mission. Only through a letter from the King of Kings does he remember again and retrieves the pearl. It is commonly interpreted as a Gnostic view of the human condition: that we forget our origin, bedazzled by the world of matter. The metaphor of the Pearl can be found in other religious traditions as well, such as Hinduism. 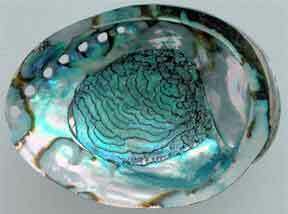 In mythology pearls are also often thought of as tears, whether from mermaids or Adam and Eve or the gods themselves. It is thus a symbol of how a mourning process can produce a most cherished gem. So, the actual natural formation process as well as its symbol fit as a name to identify not only a healing process, but also protection as well as replacing the lost innocence with something even more mysterious and resilient than that – purity. Before the psychopath you were innocent of malice. Then you were slimed. The opposite of slime is not being perfect or innocent, but purity. It is purity that will replace your former innocence. 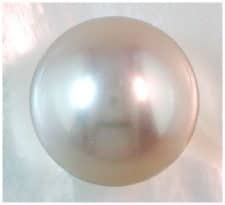 Purity is rare and precious and is born out of our tears of the damage done to us and prevents slime from infecting us again, which is why I use the pearl as metaphor. Before I can explain how we begin to create this pearl, how we transform our former innocence into purity via the tearful process of confronting the slime and shame, I need to explain how such a contamination is possible. When we understand how we could be emotionally contaminated, it is far easier to recognize slime for what it is – not our own shame – and to discover our purity. Parasites, and that is what psychopaths ultimately are, are experts in getting into our system unseen and – preferably for them- undetected for a long while to wreak havoc. They prefer all the time in the world to live on us and perhaps infect others with it. The worst and most successful parasites are chameleons that deceive our body into thinking they are part of us, so that our immunity system does not start attacking them or cannot adapt fast enough to the adapted parasite. That is how a psychopath’s slime works. It enters our emotional and mental system and we think it is ours. We do not recognize it to be the psychopath’s. So, we end up carrying it around with us, possibly for years, without ever realizing we are under attack. Aside from empathy there is a term called emotional-contagion. The difference between the two is that at least with empathy you still are aware that you imagine what someone else must be feeling. You clearly feel they are not your own feelings, but those of somebody else. With emotional contagion you end up feeling a certain way as if the source is yourself, even though those emotions were transferred by someone else. 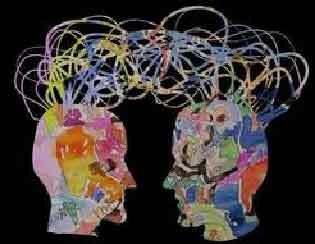 Empathy is the ability to recognize the emotional state of somebody else than ourselves. Our empathy can be fooled though. We can walk more than a mile in someone’s shoes purely on a hypothetical case, and imagine for example how someone can become a Jihad terrorist. Actors or animation figures display emotion on screen in a story and we end up feeling what we believe the character feels. Dolphins are generally mistaken to be happy creatures because of the curving mouth, which reminds us of a smile. Psychopaths fake emotions by making the right facial expressions. So we project our own hypothetical emotions onto the psychopaths if they only display the right facial expressions and body postures. I once experienced emotional contagion in an extreme way with the anger emotion, and it illustrates how different it is from empathy. One night, over a decade ago, I had a late night appointment with the dentist. She had me locally sedated with the maximum amount of eight shots and had been working on my wisdom tooth, when the doorbell rang. She was surprised, because I was the last one with an appointment. A young man entered the office. He had a peculiar, menacing attitude. The dentist was on alert as was I. Instinctively, I looked apprehensively at my purse and coat hanging behind him. I suspect this man had not counted on there being a patient, but that my dentist would be by herself. He ended up making an appointment, but whatever his real original intentions were, I doubt they were good ones. He left shortly after and my dentist finished her job on me. While my dentist tried to hide it, she was clearly shaken. When I drove home I decided to get some take away instead of cook myself, because it would be easier to chew. Right before I entered the shop though I became aware I was filled with an extreme mean rage for no reason at all. I went inside and I felt like smashing my fist in the face of anybody who looked at me. It was a rage that wanted to destroy and cause pain. Several strong men actually stepped away from me with apprehension and quickly averted their eyes. I knew intellectually this could not possibly have come from myself, yet it felt as if it was. I thought astonished, “This is how a hooligan must feel.” When I came home, the anger was still raging inside, and I eventually got rid of it by punching my mattress for several minutes. I knew it could not truly come from myself, because this type of malicious rage was alien to me. I do not want to hurt anybody or anything. In fact, it felt as if a hooligan had possessed my whole emotional system against my will. I have no other explanation for that rage than that it somehow jumped from the stranger to me while I lay there vulnerable and sedated at the dentist. My normal emotional barriers were down and my nerve system was almost completely knocked out. That is an extreme example of emotional contagion where I ended up taking over an emotion that was not my own. It was nothing like empathy at all. Thus, it is entirely possible to get infected by the shame that should belong to someone else in a manner that you believe it to be your own shame. And yet, just as I was able to realize this malicious rage could in no way have come from myself and it must have been the stranger’s at the dentist, we can at some point realize that a psychopath attempts to infect us with their slime. You are here, reading on psychopathy and how to recover from it. That means you have uncovered some of the parasitic slime and you recognized it not to be yours and are trying to isolate it from the rest of your system. Something so disproportionally ugly happened, that you completely recognized, for the first time, it was not something you deserved, no matter what flaws you thought you had. The day you discovered something was seriously wrong with the psychopath and that they were malicious, was the day you discovered you were not to blame. On that same day you created a pearl sack around the slime of the event. It forms the core of your purity, and while every other layer of you may have gotten slimed, that core repels it instantly. It is the purity within you that was always there and that the psychopath could never taint. And you already instinctively know that the key to detect slime, in order to grow your purity, lies in having a right view – recognizing you are not responsible of how others behave. It is their responsibility. During the devaluation, I often blamed myself: I was not ‘understanding’ enough, not ‘doing’ enough, not expanding my loan to get a ticket to Nicaragua, and plenty more of that. But the discard itself changed me completely. As is typical for a psychopath he attempted to destroy me in one giant emotional blow: over Facebook with a two line message that ‘he was sorry but he had met somebody else’ and dissolving our relationship status and instantly requesting relationship status with another. Witnessing it live, I felt as if I was being dropped on the set of some shallow dramarama-teen movie. I could have accepted that we grew apart, that he had fallen in love with another woman, even. It happens. But I could not accept that a man of 28 would end the relationship in such a childish, mean, and callous manner. The moment he pulled off his mask, was the moment I recognized the parasitic slime inside of me and I instantly insulated it in a pearl sack. Nothing could convince me that I ever deserved this. I would not have accepted such an ugly discard if I had been a teen even. What had been an attempt of final destruction, became not only my salvation, but my victory of the soul and my first true steps on the path of purity. Once you detect slime for what it is, you need to search out more of the slime infection in your system: the psychopath’s, those of others, and ultimately those by society and repeated meme-beliefs that infected you enough to fall prey for the psychopath. The latter are the hardest to purify yourself from, because you may have been infected with it since you were but a little child. These infections have become so much part of yourself that it is difficult to recognize them as slime at all. Let us first tackle the largest and more pressing infection of slime: the psychopath’s. You will inevitably start to reassess past incident after incident for who was actually responsible and how much you blamed yourself mistakenly. It is not a pleasant journey: triggers, feeling all of the damage and hurt of trauma, anger, and shame. But even though painful, it will also heal you. With each revisiting you will be able to see that you were not responsible nor to blame for the event, or that the psychopath’s behaviour was wildly disproportionate. Every incident that left slime on an emotional, physical or mental level is tackled during this process and isolated in the growing pearl sack. It may take several months to perhaps a year or even more to go through the whole of your system and pick the slime and isolate it, but once you have gathered it all, you arrive at a higher stage of tackling slime. Once you see all that slime of the psychopath gathered in the pearl sack, and therefore recognize with a clear view you never were responsible for any of these incidents, you will probably be overcome with shock and amazement that you never recognized it earlier on. You start to feel very much ashamed of how you allowed someone to do this to you for so long, that so much parasitic damage went unnoticed. These feelings of shame regarding your ‘naivety’ and ‘allowing yourself to be abused’ will be the first social slime you will encounter. Often enough you will hear social judgment on victims for staying with someone so obviously wrong: you must have been in willful denial, you gave them chance after chance despite all the evidence, you ignored your gut feelings, you were fool enough to be fooled. We fear that judgment after realizing how thoroughly we were abused. Well, I would say this black and white persecution of self is not true. You were not naive. You did see it when the psychopath behaved wrong to you and others, you just did not recognize the malice behind it yet. I am pretty sure that you communicated with them that it was wrong. I am sure you had confrontations to get the truth out of them as well as arguments to make them understand what they were doing was wrong. I know I did not allow any of it. I may not have tried to stop the psychopath in the most efficient way, but I did act in an effort to stop the abuse to others and myself. Of course these were not actions that solved, let alone stopped the abuse, but you did not just roll over and say ‘abuse me’. You displayed damage control behaviour with the effort to stop and gain control over the abuse and chaos. The fact that most of the actions we took were fruitless, does not warrant us to say we did not nothing. The problem was that most of the abuse was covert or disguised. And when the abuse was more overt, you were gaslighted, or pity played for your sympathy to give them another chance. A psychopath will make sure that you keep running with tunnel survival vision after each separate incident. They will do all in their power to prevent you from ‘seeing the forest for the trees’ by gaslighting and trauma-bonding you. So, when you blame yourself for having been a victim to a psychopath’s mask, it is as if you are blaming a woman being raped because she wears a mini-skirt. You are not to blame for what the psychopath did to you. You neither invited nor expected him to do it. You were simply innocent of malice, and there is nothing shameful about it. In fact, it is completely normal! You could not have been more emotionally and mentally normal than being innocent of malice. Remember the first time you realized that no flaw or mistake of yours deserved that particular ugly incident that woke you up to the fact that this person was a psychopath? Remember how you understood that you did not deserve any of the incidents of the past with this person? If you were not responsible for the incidents, then why should you hold only yourself responsible for the whole bag of them? Just let go of that bag! Now, I am not saying you or I did not make mistakes. We did. I am not saying we are blameless of filling in the gaps. We did empathically project fictional emotions within the psychopath despite the evidence in their actions that they have none or shallow ones. We told ourselves lies. We sometimes used controlling behaviour in a situation where all control was taken away from us. But nothing of what the psychopath did was ever in proportion to those mistakes. To conclude that we deserved what we got and that we allowed them to abuse us is not a realistic view. Take responsibility of your mistakes, learn from them, but do not blame yourself for the bag of slime. When you realize this, then you will coat the pearl sack with its first layer of self-forgiving mother-of-pearl. And that pearl starts to look like a beautiful tear from the gods. The psychopath tainted our innocence with slime. Purifying it cannot us make us innocent again, but creates something new and beautiful inside us: a Precious Pearl of Purity that isolates and protects us from slime. In time it will grow with coated layer after layer. The foundation of purity lies in the ability to correctly allocate personal responsibility, the right view. You need to be able to see responsibilities in a proper perspective before you can even start to speak and act in a manner that both protects you as well as others. When you see responsibilities correctly you are well on your way to reflect an exposing iridescent light that reveals the truth about people without you needing to even make an effort for it. And finally by recognizing who was truly responsible for what, you take the first step to looking in the mirror and recognize that you are in fact a Pearl, someone beautiful, pure, precious, and rare. Great exchange! People can make mistakes, but as soon as I see a sign that they completely ignore my wellbeing for a selfish reason, I start to avoid them. – he had shown his petty rebellion and smoking a cigarette inside was far more important than any consideration of me not smoking and having quit it. Why would I want to see a person again who showed not even the most basic courtesy to a person who quit her addiction in favour of his own addiction? Nah. GREAT example, Jill….and that’s what I mean about looking at people and OBSERVING their behavior not only toward us, but toward others, toward the law etc. When people are INCONSIDERATE of others or of us, we can know right away that they will not GAIN more consideration as we grow closer to them. they will in the future be LESS considerate. In this particular case I think the man was TRYING to get you to smoking again. When people also do not show consideration for legal and social mores, I don’t need them in my life either. That definitely decreases the NUMBER of people I associate closely with, but the ones I do have as friends are PURE GOLD, caring, considerate and I feel relaxed around them because they have shown over a period of time what their real CHARACTER is. And believe me, I am like you, the first sign of BAD CHARACTER, bad choices, disrespect for others or the law…don’t need them at all. He wouldn’t have minded it at all had I started smoking again, for the simple reason that it would be less confrontational for his own smoke addiction. Around that time he also posted on his fb wall that we all have to die of something. I was very much tempted to reply wit, ‘sure, but I’d prefer to do so with smoke free lungs’. I ignored it in the end. Anyway, he wasn’t toxic in general, but he preferred to live in his own denial of cog/dis regarding, and others were supposed to conform to it or be tempted into conforming to it. I concluded it was very likely that this must be his general way of dealing with realities that opposed his wishes and desires, and thus was a bad foreboding. Most of my friends smoke, but here’s one very remarkable thing about them: they all offer and insist on smoking outside. They are proud that I quit, encourage me, even if they are still smoking, and they go out of their way not to tempt me. Unfortunately, there are many people who don’t get the chance for a do-over, even for a HARD lesson…you either get it right the first time or the damage is so severe you can’t retake the course. My son’s victim, Jessica Witt, didn’t get a do-over about learning about psychopaths. She was naive and young and inexperienced but full of life and wanted to paddle her own canoe instead of staying home and living with her folks. She died for that choice. I also leaped out of the nest at too young an age, and COULD have paid for it with my life, but I GOT LUCKY because it wasn’t wise choices on my part that let me survive, where she died. “Luck” of the draw has a great deal to do with whether we get additional chances to learn the lesson…I’ve been fortunate there…it is sure not my making good choices. I am trying to make better choices now. More logical ones. Safer ones. and setting boundaries about who Ii will or will not associate with makes my life BETTER for sure. Yep, boundaries are the cat’s meow! They help keep us safe and sane….but there is still the luck of the draw as well. Strongawoman…………..great to “see” you, and I hope that you’re doing okay!! !